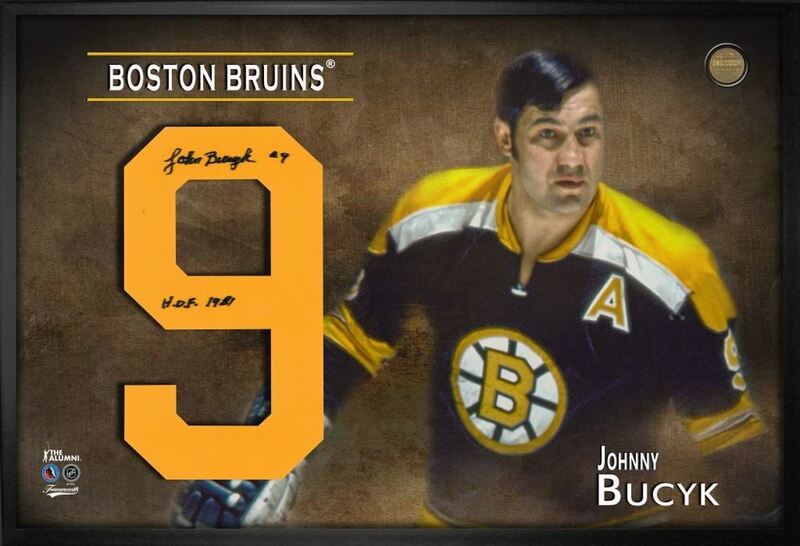 This frame was personally autographed by Boston Bruins Hall of Famer, Johnny "Chief" Bucyk. Bucyk played 22 seasons in the NHL, 21 of which were with the Boston Bruins. Bucyk is 25th on the all time points leader with 1,369 points, and 27th all time goal leader with 556. Bucyk won the Lady Byng memorial Trophy in 1971 and 1974. Bucyk won the Lester Patrick Trophy for contribution to hockey in the USA in 1977. Bucyk is also the oldest player to score 50+ goals with 51 in 1970-71 at the age of 35. 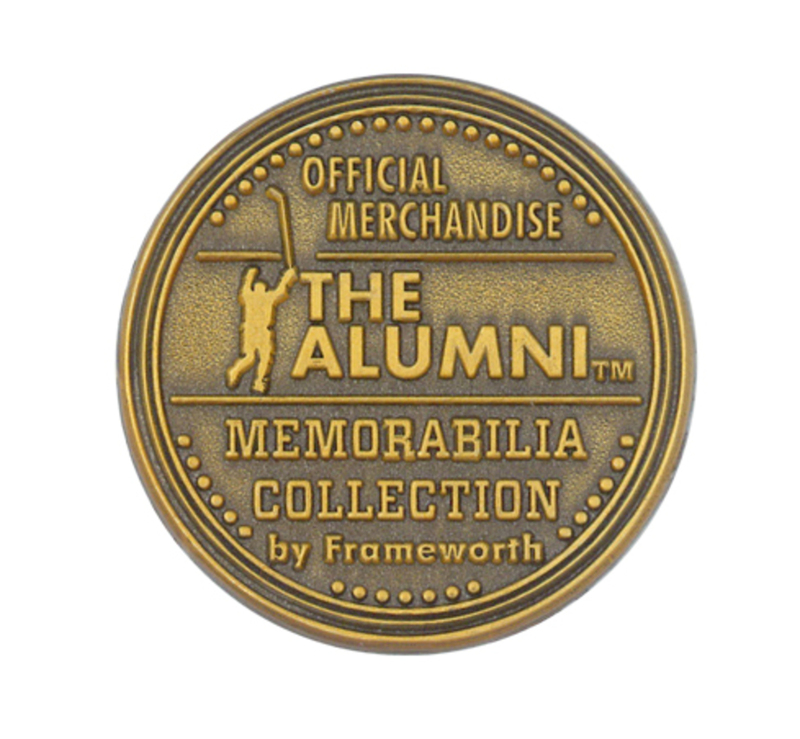 A Frameworth hologram and certificate of authenticity are included to ensure the legitimacy of the signature. Frameworth is an official licensee of the NHL & NHLPA. Officially licensed by the NHL Alumni. Finished Size: 18x26.